Now, enough about us! 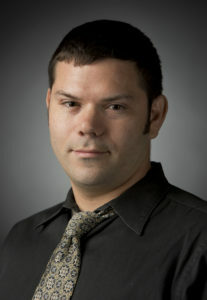 Let’s welcome Dan Axelrod, business reporter for the Times Herald-Record. 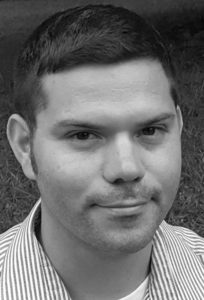 Dan has spent 10 years writing professionally for newspapers, and even spent two years in the PR field! About that short stint in PR––what was it like working for the “other side” after years spent in the journalism field? ​It was enlightening. I have a much deeper appreciation for public relations professionals and how the job works. I was laid off from a newspaper in 2009, and I spent two years as a public relations specialist for a Blue Cross company. During that time, I provided support to the external-facing folks on the PR team by draft​ing​ press releases and internal talking points on ​potential threats to the​ company. ​I also organized press conferences and companywide meetings, wrote op-eds, letters and presentations fo​r senior leaders, collected and​ analyzed data to produce research reports, and helped communicate the company’s strategic direction to the rank and file. My point is that PR people do a lot. They don’t just sit around waiting for reporters to call them. I also learned that PR people aren’t there to help reporters get information. The job isn’t about facilitating communication so much as controlling information. How well is our organization communicating specific messages to our different publics? Is our message coming across successfully? Are we anticipating and prepared for a crisis? Are we positioning our company to show that we’re both socially responsible and efficacious as a business? How do we simplify our messaging to cut out the jargon, while positioning our leaders as relatable subject matter experts? These are questions we asked ourselves every day, not just “How do we respond to this or that reporter?” The final thing I came to realize in PR was just how PR-dependent reporters are. Between 2000 and 2010, one in three American newspaper newsroom employees lost their jobs. Unfortunately, given that reality, and the struggles in other media industries, reporters are more reactive/PR-driven than ever. In 1980, the ratio of reporters to PR people in America was roughly one-to-one. As of 2010, there were four PR people for each reporter in the U.S., and the projections at the time were that the ratio could increase to as much as seven PR people for each reporter within a few years after that. More and more, PR people make up an integral part of the American news ecosystem and smart, effectively targeted pitches stand a better chance of getting placed in a media outlet with little or no editing. That’s a great thing for PR firms, but it’s a sad thing for democracy because reporters aren’t supposed to just regurgitate pitches. They’re supposed to use them to facilitate original reportorial journalism. You’re the president of Writers Unlimited Agency, Inc. (WU), a nonprofit based in New York and Florida that promotes the arts and creative writing. We’d love to hear more about this organization. ​It was f​ounded in 1976 by ​my​ father, Dr. David Axelrod (a past poet laureate in NY and FL​, not Obama’s advisor). WU is a 501c3 nonprofit that promotes the arts and creative writing by hosting seminars and literary events. ​It’s based in NY and FL​, and it ​operates Writers Ink Press – an alternative publisher with more than 50 titles​ that are mostly poetry books​. It’s nice to work in the creative writing world, too, to not just work with straight news stories. 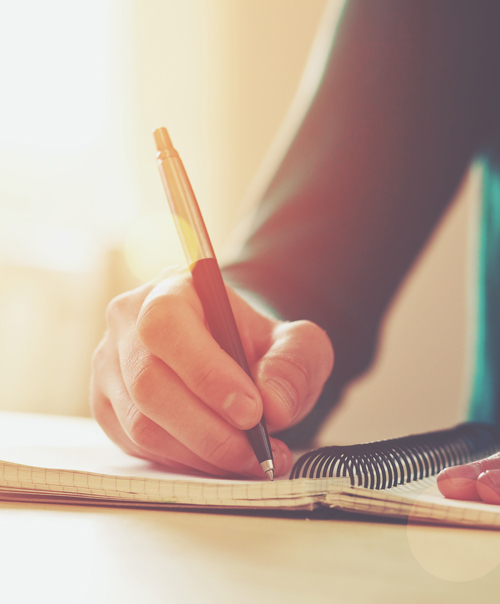 What inspired you to go back to school and get your PhD in journalism? That’s quite an accomplishment! ​Thanks! The only thing in life I’ve ever wanted to do more than be a reporter was teach people how to be reporters. So, eventually, I can use that degree to do that full-time. Describe a few fun things that the average reader wouldn’t know about you. Tell us––we promise not to hold it against you––what’s your PR pet peeve? –PR people who just ignore reporters if they reach out. Seriously, there are many PR people who do that. If you or your senior leaders or your entity have nothing to say, then tell the reporter, “We have nothing to say.” The same goes for if you’re simply too busy to answer the reporter’s questions. Please let the reporter know that. –PR people who assume every reporter is equally incompetent. I’m better than competent. I’m stellar. Work with reporters. Some of us will earn your trust. Some us are very fair and extremely accurate. Guide us. Collaborate with us. Don’t fear us or try to control us. –PR people who are short-sighted in that they don’t realize they should respond to a reporter’s inquiry lest the PR person and his or her company loses control over their own narrative. If we’re giving you the chance to steer the story, especially if it involves a lawsuit or something with reputational ramifications, take it! We’re not dumb. We understand there are limits to what you can say about controversial or pending litigations, but you can generally say far more than you might realize. So, don’t jam your head in the sand like an ostrich. That does you zero good. Generally, it harms you because you’re letting the negative thing that the reporter is reporting be the dominant element of the story without addressing it. –PR people who don’t do their homework before pitching. Take the time to learn a news outlet’s audience, coverage area and focus, the name of the most appropriate newsroom employee to address your pitch to (based on his or her beat/title). If, for example, you send a pitch about a national issue to a newspaper that covers three counties, you’ve wasted everyone’s time and you’re dooming yourself to the slush pile. 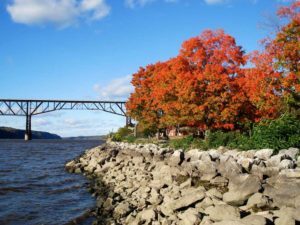 Name one “hidden Hudson Valley gem” that all locals and visitors ought to check out. If someone wants to follow the Times Herald-Record and/or you, how can they connect socially? Please feel free to email me at daxelrod@th-record.com. Also, I really like and take seriously LinkedIn: ​https://www.linkedin.com/in/danaxelrod.